In Re Petition for Disciplinary Action against Patricia Jean Ryerson, a Minnesota Attorney, Registration No. 216665. Martin A. Cole, Director, Patrick R. Burns, Assistant Director, Office of Lawyers Professional Responsibility, St. Paul, Minnesota, for petitioner. Patricia Jean Ryerson, Crystal, Minnesota, for respondent. Respondent�s engagement in a pattern of misrepresentation, fraudulent production of documents, misappropriation of funds, and conflicts of interest with her client warrant disbarment. O P I N I O N PER CURIAM. The Director of the Office of Lawyers Professional Responsibility filed an initial petition for disciplinary action against respondent Patricia Jean Ryerson on June 1, 2007, alleging that Ryerson�s participation in several financial transactions had violated the Minnesota Rules of Professional Conduct under rules 8.4(c) and 1.8(a).1 We referred the matter to a referee, who held an evidentiary hearing on May 15 and 16, 2008. The referee issued his Findings of Fact, Conclusions of Law, and Recommendation as to Discipline on July 10, 2008. The referee found Ryerson to have violated rules 8.4(c) and 1.8(a) of the Minnesota Rules of Professional Conduct and recommended that she be disbarred. Based on the referee�s findings of fact and conclusions of law, which are deemed conclusive under Rule 14(e) of the Rules on Lawyer Professional Responsibility (RLPR), we conclude that Ryerson�s misconduct warrants disbarment. Ryerson was admitted to practice law in Minnesota on May 10, 1991. In the petition filed by the Office of Lawyers Professional Responsibility, Ryerson was alleged to have participated in several financial transactions during which she committed professional misconduct. Ryerson�s then-husband, Michael Swensen, was also an attorney and a participant in the misconduct. Swensen was disbarred in November 2007. In re Swensen, 743 N.W.2d 243 (Minn. 2007). The referee found the following facts had been established at the evidentiary hearing. 1 An amended and supplemental petition was filed in December 2007. In 2001, Ryerson became involved in the sale of real property located in West St. Paul, Minnesota, belonging to S.F. and W.K. On August 30, 2001, S.F. entered into a purchase agreement with a buyer, T.V., which included a financing addendum and an �as is� addendum. W.K. later signed the purchase agreement on September 4, 2001. According to both S.F. and W.K., the purchase agreement they signed indicated the purchase price for the house would be 4,000. However, when the closing for the sale of the West St. Paul property was held on October 26, 2001, both the financing for the purchasing and the disbursements at closing were based upon a second purchase agreement with a purchase price of 6,000. Both S.F. and W.K. stated that they did not know how or why the higher purchase price came to be in a second purchase agreement. Ryerson, T.V., and S.F. were present at the closing, but W.K. was not. The Settlement Statement used at closing reflected a disbursement of ,686.90 to U.S. Bank and another disbursement of ,744.22 for �Remodel Expenses.� S.F. did not understand what the two payments were for, so she inquired about them. Ryerson responded that the two disbursements were �paper only� and described them as necessary for the closing. The U.S. Bank disbursement was listed as a deduction from the amount owed S.F. for the sale of the West St. Paul property, and was purportedly offset on the credit side of the settlement statement by ,214.28 purportedly paid to S.F. in earnest money and another 2.62 ostensibly paid to S.F. at the closing. S.F. testified that she received neither payment. After S.F. and T.V. had signed the necessary documents at closing, S.F. went with Ryerson to obtain W.K.�s signatures on the closing documents. Instead of finding W.K., Ryerson took S.F. to a nearby bar. While there, S.F. saw Ryerson practice W.K.�s signature several times and then watched Ryerson forge W.K.�s signature on the closing documents. S.F.�s testimony was corroborated by two other witnesses. W.K. testified that he never signed any of the closing documents, and a forensic document expert hired by the Office of Lawyers Responsibility testified that there was a �strong probability� that W.K.�s signatures on the closing documents were not genuine.2 Among the closing documents for the West St. Paul property was an �Addendum and Supplement to Purchase Agreement� that was supposedly signed by the S.F., W.K., and T.V. at the closing. The addendum authorized �a disbursement to VR Construction in the amount of ,744.22 for future repairs, remodeling, and other expenses,� provided that the sellers �agree to reimburse Buyer for any earnest money or downpayment provided, including any expense Buyer incurs to obtain these funds,� and authorized a �disbursement of ,686.90 to U.S. Bank� on behalf of the buyer. 2 The expert explained that �strong probability� is a term of art used by the American Standards of Testing & Materials which indicates that the examiner is �virtually certain� that the documents were not signed by the person who provided the known writing samples. by the Office of Lawyers Professional Responsibility agreed, testifying that there was a strong probability both that W.K.�s signature was not genuine and that S.F.�s signature was a replica of a legitimate S.F. signature that had been obtained by Ryerson on another closing document. After the closing, a ,744.22 check was disbursed to �VR Construction� with an annotation indicating the money was for remodeling expenses. The paperwork for VR Construction, LLC, indicates it is an entity organized by E.B. But the forensic document expert testified that it is highly probable that E.B.�s signature on the Articles of Organization for VR Construction was not genuine and that there is a strong probability that E.B.�s signature was forged by Ryerson. The Articles of Organization for VR Construction list Ryerson as the corporation�s Chief Manager, Treasurer, and Secretary. Ryerson received and cashed the ,744.22 check made out to VR Construction. Although the money was supposed to go to repairs and remodeling of the West St. Paul property, T.V. testified that he received none of the remodeling money and that approximately ,000 was actually spent on improving the property. After the closing, W.K. received a disbursement check for ,989, an amount equal to his initial investment in the property. Although T.V. purchased the West St. Paul property for 6,000 and S.F and W.K. owed no more than 0,000 on the property, S.F. and W.K. received no other money from the sale. Valley Buick sales associate, N.H., in a dissolution matter, and in June 2001, Ryerson informed N.H. that her elderly relative, E.B., was interested in buying a car. Ryerson told N.H. that she had authority to select the vehicle for E.B., and she provided a power of attorney as evidence of her authority to act on E.B.�s behalf. Ryerson selected a GMC Yukon XL priced at ,294, and N.H. prepared a credit application for E.B. to sign. On June 25, 2001, E.B. supposedly signed the document. The application was approved on June 30, 2001, after which N.H. delivered the GMC Yukon XL to Ryerson along with a series of documents that needed to be signed to complete the transaction. N.H. testified that he witnessed Ryerson signing E.B.�s name to all the documents. The GMC Yukon XL was later repossessed when the necessary installment payments were not made. During its investigation, the Office of Lawyers Responsibility discovered that E.B. did not have a driver�s license at the time the GMC Yukon XL was purchased. Further, the power of attorney presented by Ryerson appeared to have been signed by E.B. on September 1, 2000, but was not notarized until September 8, 2000. The forensic document examiner testified that there was a strong probability that the E.B. signature on the power of attorney was not genuine, that the E.B. signature on the credit application used to purchase the Yukon was not genuine, and that Ryerson was the person who signed the E.B. signature on the credit application. L.J., she relied on legal advice provided by Ryerson and Swensen and considered both to be her attorneys. Ryerson and Swensen not only represented L.J. in the purchase of investment properties, they also entered into the transactions as L.J.�s business partners. Despite the conflict inherent in the two separate roles, Ryerson and Swensen failed to advise L.J. that she should consult independent counsel, failed to inform L.J. of the full terms of the transaction, and failed to get written consent from L.J. In early 1999 Ryerson and Swensen informed L.J. about an investment property they had located in Mound, Minnesota. Ryerson and Swensen suggested that L.J. purchase the property, allow them to renovate the property, and proposed the three of them split the profits from the sale. L.J. agreed, and on February 18, 1999, L.J. signed a purchase agreement and paid ,000 in earnest money on the Mound property. Ryerson told L.J. that it would be easier to finance the property if E.B.�s name was on the title, so L.J. agreed to include E.B.�s name. E.B. supposedly signed the purchase agreement but did not contribute financially to the purchase of the Mound property. At the closing on May 19, 1999, Ryerson signed E.B.�s name as attorney-in-fact using a short form power of attorney. The forensic document examiner testified that there was a strong probability that the E.B. signature on the power of attorney was not genuine. Investigation revealed that Swensen had obtained the notarization of the E.B. signature under false pretenses�the notary testified that he had notarized the power of attorney form at the request of Swensen and had not seen E.B. actually sign the document. The total purchase price of the Mound property was 4,436.38. L.J. used a mortgage loan to pay 6,250, and she paid the remainder in cash at the May 19, 1999, closing. Once she owned the property, L.J. paid ,939.70 for repairs to the property and paid Ryerson and Swensen an additional ,804.41 for supplies used in the improvement of the property. When the repairs to the Mound property were completed in September 1999, L.J. received a refund of the ,000 she had paid into escrow at the time of closing. L.J. then requested that Ryerson and Swensen sell the property as previously agreed, but no such action was taken. Instead, Ryerson and Swensen told L.J. they intended to obtain financing to purchase L.J.�s interest in the property, and unbeknownst to L.J., the property went into foreclosure. At the sheriff�s sale held on March 27, 2003, the property was sold to Mortgage Electronic Registration Systems, Inc. The last day of the statutory foreclosure redemption period for the Mound property was September 27, 2003. Shortly before the expiration of the redemption period, Ryerson falsely told L.J. that she and Swensen had obtained financing to purchase the home. Ryerson asked L.J. to attend a closing on the financing scheduled for September 23, 2003. While attending that closing, L.J. learned for the first time that the Mound property was in foreclosure and that the redemption period was set to expire in five days. She also learned the �refinancing� was actually a sale of the property to Mark O�Brien. According to O�Brien, Ryerson had approached him with information that the Mound property was in foreclosure and could be purchased for 0,000 or less. and Swensen convinced L.J. that it was in her best interest to go forward with the closing before the redemption period expired. Ryerson and Swensen told L.J. that she would lose her entire interest in the property if she did not proceed with the sale, so L.J. agreed to a second closing on September 26, 2003. The purchase price at the second closing was 5,000, which was then reduced by a �seller�s equity gift� of ,000. L.J. testified that she was unaware of the ,000 gift to O�Brien and did not agree to it. O�Brien paid the entire purchase price of the Mound property with the proceeds from a mortgage loan. The net proceeds from the sale ultimately came to ,778.33; L.J. received ,000 and the remaining ,778.33 went to VR Construction. By the time of the sale, L.J. had invested nearly 8,930.49 into the Mound property. Ryerson received the portion of the proceeds paid to VR Construction. She also received an additional payment from O�Brien. O�Brien testified that on August 24, 2004, he obtained a ,000 second mortgage on the Mound property, approximately half of which he paid to Ryerson. On September 30, 2004, L.J. filed an action to recover the loss she incurred because of Ryerson�s actions. When L.J. and Ryerson settled the action in 2005, the Mound property was returned to L.J., although it was still encumbered by the two mortgages taken out by O�Brien. renovations. In exchange, Ryerson and Swensen offered to renovate the property and then obtain financing to purchase L.J.�s interest. L.J. agreed to the arrangement, and on July 27, 1999, she entered into an agreement to purchase the Minneapolis property for 0,000. L.J. paid ,000 in earnest money, another 6,299.82 in cash at closing, and obtained two mortgages to cover the balance of the purchase price. The title to the Minneapolis property was conveyed to L.J., and between 1999 and 2003, L.J. used the Minneapolis property as a rental property. Ryerson and Swensen were to collect the rent money and use the money to pay for expenses, including the two separate monthly mortgage payments on the property. In January 2000, Ryerson had L.J. sign a blank quitclaim deed, telling her that the deed would be filed only in the event that L.J. died. Relying on Ryerson�s representations, L.J. signed the blank deed. Ryerson later completed the deed, backdated it to September 29, 1999, and made it appear that L.J. had conveyed to Ryerson a one-half interest in the Minneapolis property. Swensen notarized the deed, and it was recorded by the Hennepin County Registrar of Titles on November 29, 2001, without L.J.�s knowledge or consent. says that he never made any payments on the Minneapolis property and never authorized Swensen to act on his behalf with regard to Minneapolis property. Ryerson and Swensen used the contract for deed to begin a refinancing process on the Minneapolis property. They arranged for a 5,000 mortgage loan in R.S.�s name and provided false information to the mortgage broker in order to do so. Ryerson falsely represented the status of her title and interest in the property. Further, she and Swensen both stated that R.S. was making regular payments under the contract for deed and presented false documents as proof that regular payments had been made, including a false IRS Form 1098 and a series of receipts. Based on the representations made by Ryerson and Swensen, a closing was held on January 16, 2003, where a mortgage was issued in R.S.�s name and the proceeds were used to pay off the contract for deed. On the day of the closing, Swensen told L.J. that a buyer had been found for the Minneapolis property and represented that L.J. would be repaid for her investment after the closing. Swensen then had L.J. sign a quitclaim deed transferring all her interest in the Minneapolis property to Ryerson. At the closing on the Minneapolis property, Swensen signed his father�s name to the necessary documents, purporting to be the attorney-in-fact on his father�s behalf. Ryerson then conveyed the Minneapolis property to R.S. by warranty deed. R.S. testified that he had no knowledge of the 5,000 loan or the deed that was executed in his name. Ryerson received a payment of 2,388.07 at the closing, but L.J., who had invested nearly 0,000 cash in the Minneapolis property, received none of the proceeds. According to R.S., Ryerson contacted him on November 26, 2003, and asked him to meet her at a bookstore, supposedly because Ryerson was interested in buying life insurance from him. During the meeting, Ryerson told R.S. that Swensen had asked her to get R.S.�s signature on a few documents. Among the forms that R.S. signed that day was a blank quitclaim deed. After the meeting, Ryerson completed the deed so that it transferred ownership of the Minneapolis property to O�Brien. O�Brien claims that he had paid some back taxes on the property, but testified that he did not consider himself the owner of the property. O�Brien testified that on March 16, 2004, Ryerson had him sign three blank quitclaim deeds. The deed from R.S. to O�Brien was then recorded on May 28, 2004. Ryerson was still in possession of the blank signed deeds bearing O�Brien�s signature when the Office of Lawyers Professional Responsibility began its investigation of her conduct. In the 2005 settlement agreement between L.J. and Ryerson, L.J. was able to reacquire the Minneapolis property, but the property was encumbered by the 5,000 mortgage and had gone into foreclosure by the time L.J. reacquired it. On September 27, 2003, B.R. gave Ryerson a ,800 check as a security deposit for the rental of the carriage house at the Minneapolis property. But B.R. changed his plans, and on October 1, 2003, he informed Ryerson that he no longer wished to rent the carriage house. When B.R. requested the return of his check, Ryerson refused to return it. B.R. commenced a conciliation court action to recover the money and was awarded a judgment against Ryerson for ,305. Ryerson did not pay the judgment. B.R. filed a complaint with the Office of Lawyers Professional Responsibility complaining about Ryerson�s refusal to satisfy his judgment. Ryerson filed a response to the complaint that contained false statements. Specifically, Ryerson claimed that she had given the security deposit to the owner of the property, had told B.R. that the owner of the property had the check, and claimed that it was the owner who had decided not to return the check. L.J., who was the actual owner of the property in October 2003, testified that she had no knowledge of B.R. or his deposit. The nominal owner of the Minneapolis property in October 2003 was Swensen�s father, who also testified to having no knowledge of B.R. Rather, B.R.�s security deposit check was payable to and had been cashed by Ryerson, who treated the property as her own, appeared to live in the house, and took income tax deductions for the house as though she were its actual owner. Based on the above factual findings, the referee concluded that Ryerson had committed several violations of Minnesota�s Rules of Professional Conduct. 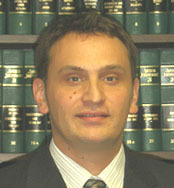 Based on Ryerson�s actions in the sale of the West St. Paul property, the referee concluded that Ryerson had violated Minnesota Rule of Professional Conduct 8.4(c) which states that it is misconduct for a lawyer to �engage in conduct involving dishonesty, fraud, deceit, or misrepresentation.� The referee also concluded that Ryerson�s actions in the GMC Yukon XL matter and the L.J. transactions violated rule 8.4(c). The referee concluded that Ryerson�s representation of L.J. also violated Minn. R. Prof. Conduct 1.8(a), requiring a lawyer who enters into a business transaction with a client to inform the client of the desirability of seeking independent counsel, to offer fair and reasonable terms with regard to the business deal, and to obtain the client�s written informed consent. Finally, the referee concluded that by making false statements in response to B.R.�s complaint, Ryerson violated rules 8.1(a) and 8.4(c) as those rules read before October 1, 2005. Based on these legal conclusions, the referee recommended Ryerson be disbarred. Following the filing of the referee�s disposition, we temporarily suspended Ryerson�s license pending final resolution on this matter. Since her abbreviated appearance at the hearing, Ryerson has not participated in the disciplinary process. She has not ordered transcripts that would permit review of the proceedings before the referee, has not submitted any briefing to this court, and she did not appear before us at her scheduled hearing on December 10, 2008. Under the Minnesota Rules on Lawyers Professional Responsibility, a referee makes findings of facts, conclusions of law, and recommendations for resolution of the case. Rule 14, Rules on Lawyers Professional Responsibility (RLPR). When, as in this case, neither party orders a transcript within ten days of the referee�s order, the referee�s findings of facts and conclusions of law are conclusive. Rule 14(e), RLPR. Because the referee�s findings and conclusions are conclusive, the only remaining issue for us to determine is the appropriate discipline. �The purposes of disciplinary sanctions for professional misconduct are to protect the public, to protect the judicial system, and to deter future misconduct by the disciplined attorney as well as by other attorneys.� In re De Rycke, 707 N.W.2d 370, 373 (Minn. 2006) (citing In re Oberhauser, 679 N.W.2d 153, 159 (Minn. 2004). Although we place great weight on the recommendation of the referee, we retain the final responsibility for determining the appropriate sanction. In re Wood, 716 N.W.2d 341, 347 (Minn. 2006). When imposing discipline, we look to the nature of the misconduct, the cumulative weight of the violations, the harm caused to the public, and the harm caused to the legal profession. In re Westby, 639 N.W.2d 358, 370 (Minn. 2002). Although discipline is imposed on a case-by-case basis, prior analogous cases may also indicate the proper sanction. Id. at 370-71. (Minn. 2007). Based on the L.J. transactions alone, we determined disbarment was an appropriate sanction for Swensen�s misconduct. Id. at 249. Id. at 247. 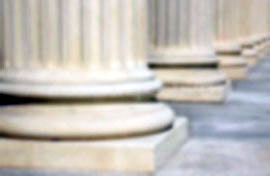 We compared these 8.4(c) violations to cases involving misappropriation of client funds, which �usually merit the sanction of disbarment unless the attorney presents clear and convincing evidence of substantial mitigating circumstances which show that the attorney did not intentionally convert the funds.� Id. (citing In re Swerine, 513 N.W.2d 463, 466 (Minn. 1994)). misconduct appears to have been done with the intention of increasing her own wrongful financial gain, leading us to conclude that, as in misappropriation cases, disbarment is the appropriate sanction. In re Swerine, 513 N.W.2d at 466. In Swensen, we concluded that the misrepresentation and fabrication of documents that Ryerson and Swensen engaged in was also grounds for disbarment. In re Swensen, 743 N.W.2d at 247. As in Swensen, Ryerson misrepresented to L.J. that she and Swensen had obtained refinancing for the Mound property, misrepresented to the mortgagee of the Minneapolis property that Swensen�s father had made payments under the contract for deed, and fraudulently drafted the contract for deed for the Minneapolis property. Id. Ryerson also fraudulently formed VR Construction under E.B.�s name, forged W.K.�s signature on all the closing documents for the West St. Paul property, forged S.F.�s signature on the Addendum, fraudulently acted on numerous occasions as E.B.�s power of attorney, and improperly obtained numerous signatures for various quitclaim deeds to the Minneapolis property. Ryerson�s extensive fabrication of documents �is rooted in dishonesty and deceit,� and when an element of other misconduct, is grounds for disbarment. In re Graham, 503 N.W.2d 476, 479 (Minn. 1993). Ryerson also violated Rule 1.8(a) when she engaged in business transactions with L.J., a client, without informing L.J. of the desirability of seeking independent counsel, offering fair and reasonable terms, or obtaining L.J.�s written informed consent. We have disbarred other attorneys for similar misconduct. See Swensen, 743 N.W.2d at 247-48; In re Wyant, 533 N.W.2d 397, 398-402 (Minn. 1995); In re Olsen, 487 N.W.2d 871, 874-876 (Minn. 1992). As was the case in Swensen, the totality of Ryerson�s misconduct is similar to that of the attorney in In re Peterson, 456 N.W.2d 89 (Minn. 1990), where we disbarred an attorney who �induced his client, a 20-year-old who had sustained serious head injuries, to lend 0,000 to the attorney�s real estate company.� Swensen, 743 N.W.2d at 248 (referring to Peterson, 465 N.W.2d at 90-91, 93). In Peterson, as is the case here, the attorney�s conflict of interest was not disclosed, the terms of the transaction were unreasonable, the attorney did not adequately discuss the arrangements, and the attorney made false representations to third parties and forged signatures. Peterson, 465 N.W.2d at 91-92. As in Swensen and Peterson, �the nature and cumulative weight� of Ryerson�s misconduct leads us to conclude that disbarment is warranted. Swensen, 743 N.W.2d at 248; Peterson, 465 N.W.2d at 93. When deciding what sanctions to impose for attorney misconduct, we frequently take into account possible mitigating factors. Some of the factors this court has considered mitigating include financial hardship, personal turmoil, stress, emotional distress, payment of restitution for harm caused, prior pro bono work, and lack of previous discipline. See, e.g., In re Selmer, 749 N.W.2d 30, 40 (Minn. 2008); In re Rooney, 709 N.W.2d at 271-73. The referee expressed concern in his memorandum that Ryerson�s actions and appearance suggested possible mental, chemical dependency, and/or physical problems. But because no evidence of mitigating facts has been submitted to us, any consideration of mitigating factors would be speculative at best. We order that respondent Patricia Jean Ryerson be, and hereby is, disbarred.